Finished 4th after leading all the way fot 24 laps but did set a British record for the distance of 29:2.8. Early years growing up in Royal Borough of Windsor. Choir Boy and Scout, attacked by bombs in Salisbury.The 1947 floods in Windsor and the 1948 Olympics. The start of running, Berkshire Championships and All England Schools. First exchange between Windsor and Goslar (Germany) in 1952and first ‘international’ race. Police Cadet, Military Policeman and Police Constable which gave the newspapers plenty of captions and cartoons ‘Flying Cop’ etc. Best World times ever at 3 miles and 6 miles as a junior. 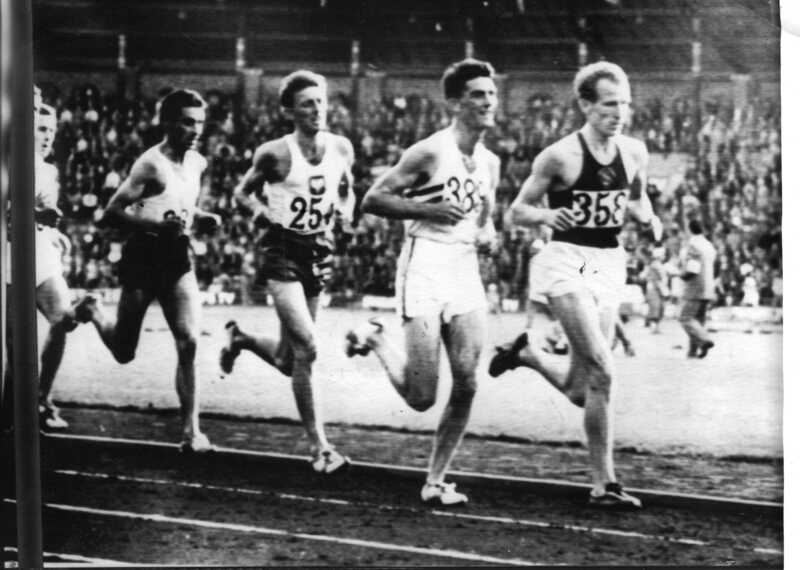 Early international races on the track, International Cross Country champion and British records at 5 and 6 miles and 10,000 metres. Ranked in top three in the world in 1959 at 5000 metres and came 2nd in race against the top 12. Escape from Moscow in 1960. Working nights and running international races the next day. Fitting training, racing, family and working into a daily routine. No big pay days, 75p a day when abroad for a race and £10 if appearing on TV. Top prize value (not cash) £7.7s or £10 in Scotland . Later life, the forming of the National Jogging Association and first Fun Runs. The start up of the Reading Half Marathon and other races. Introduction of wheelchair athletes to road racing. Working for Disabled Sport and Sports Aid Foundation. Life with Diabetes and Heart disease .